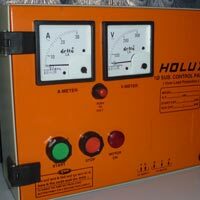 Based in Andhra Pradesh, we are one of the known Manufacturers and Suppliers of Single Phase Control Panels. The panels, available in various models, are specially designed for optimal use of water. 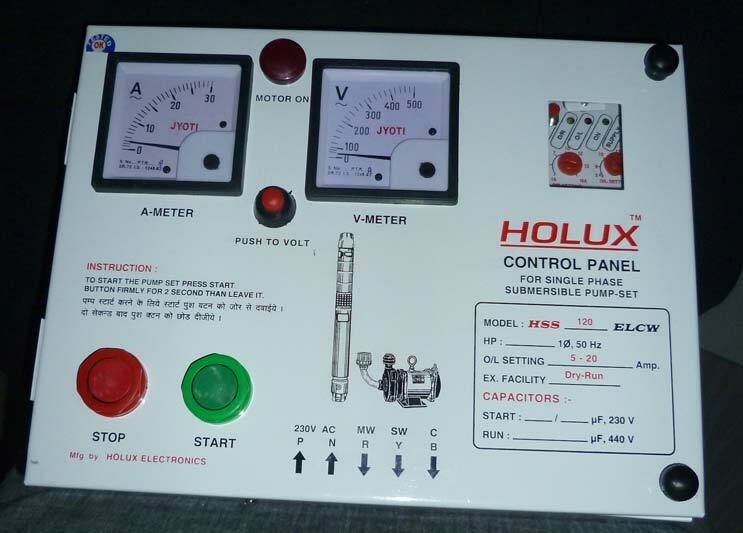 All of our Single Phase Control Panels (HSS- ELCW-CH), (HSS-ELCW-CH -SOR4), (HSS-ELCW- CH AUTO) and (HSS-MCB-WS) are manufactured in accordance with the set industry standards. 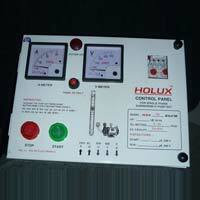 We can provide standard as well as customized Single Phase Control Panels. They are made available at competitive prices. Model KDP 99 DRA : For Single Phase Submersible Pumps with start & Run capacitor with water Level Controller and Dry Run Auto Start Timer. 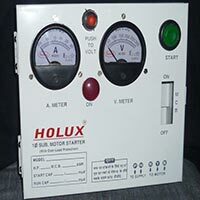 The "HOLUX DIGITAL MOTOR MANGEMENT" is intelligent and flexible motor management system. It offers Comprehensive motor management including extensive Protection, Monitoring and Control Functions. Technology : Microcontroller based easy to use digital product with high reliablity and long life. Calibrated Digital Ammeter 1 to 16 amps. Starting capacitor cutoff timer (CCT) with solid state switching technology. Led Indications for all faults. 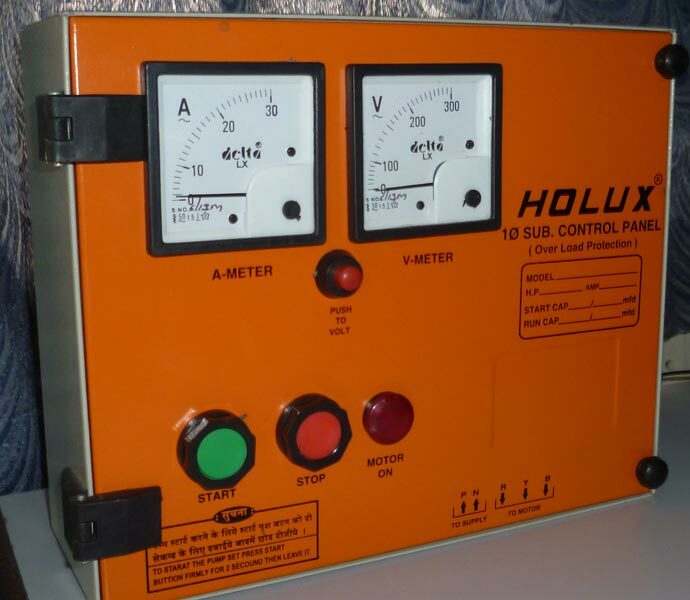 Working voltage range from 130 to 300 volts. 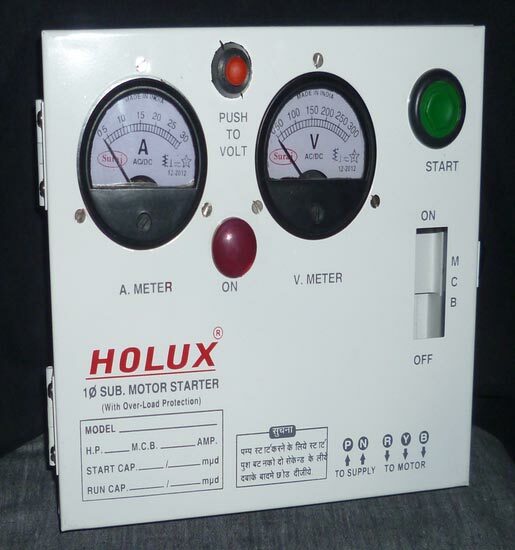 Auto Fault Detect for voltage, LEDS, Display, Relay. Colour coded copper wiring with lungs for longer life. Modular design easy to install and site servicing. Compact, rust proof, powder panel box.